1998: As the World Turns' Jack and Carly grew closer. 2006: General Hospital's Tony Jones died. 2009: Guiding Light's Phillip rescued Coop from a burning car. 2011: Oprah reunited Susan Lucci with Erica Kane's husbands. 1897: Dame Judith Anderson was born. Anderson moved to New York from Australia in 1918 and was a hit on Broadway before moving to Hollywood to make films. In 1984 she joined the original cast of Santa Barbara as Minx Lockridge. She died in 1992 at age 94. 1966: On Another World, Mike Bauer (Gary Pillar) told Emily that he found he had a lot in common with John, since both had wives that died when their daughters were young. 1977: Actress Virginia Payne, who played popular radio soap opera character Ma Perkins, died at age 67. Payne, who was only 23 when Ma Perkins first went on the air, played the title role for the show's entire 27-year run. 1978: On One Life to Live, friends gathered to watch Wanda's (Lee Lawson) commercial debut. 1981: Benjamin Hendrickson began a three month run on Texas in the role of Chris Shaw. 1984: On Another World, Sally (Mary Page Keller) considered marrying David in order to be a mother to Kevin. 1986: On Days of our Lives, Emma (Jane Windsor) found out that Victor (John Aniston) could be the father of Kimberly's (Patsy Pease) child. 1988: On All My Children, a pregnant Erica Kane (Susan Lucci) was unconscious in the hospital, while her subconscious took her to a surreal soundstage where her life story was being directed by her long-lost father, Eric Kane. Here, Erica found an assembly of her former lovers -- Nick, Jeremy, Kent, Phil, Brandon, Tom, and Adam -- who tried in earnest to make her face herself and the role she played in destroying their relationships (proof of which is presented to her in footage from earlier episodes). Later, Erica was reunited with Mike, who refused to give her the reassurance she desired when she insisted that their relationship would have endured had he not died. Finally, Erica's father showed her what really happened the day he abandoned her. Only when Erica let go of her illusions about him did she regain consciousness and went into labor with her own child. 1989: On Another World, the two-part "Valentine to Singles" special continued with a look at the single men of Bay City. 1989: On Guiding Light, Reva (Kim Zimmer) and Sonni (Michelle Forbes) began their memorable walk across a suspension bridge. 1992: On The Young and the Restless, Victor (Eric Braeden) continued to think about his ex-wife, Nikki (Melody Thomas Scott), who was now married to Jack (Peter Bergman). 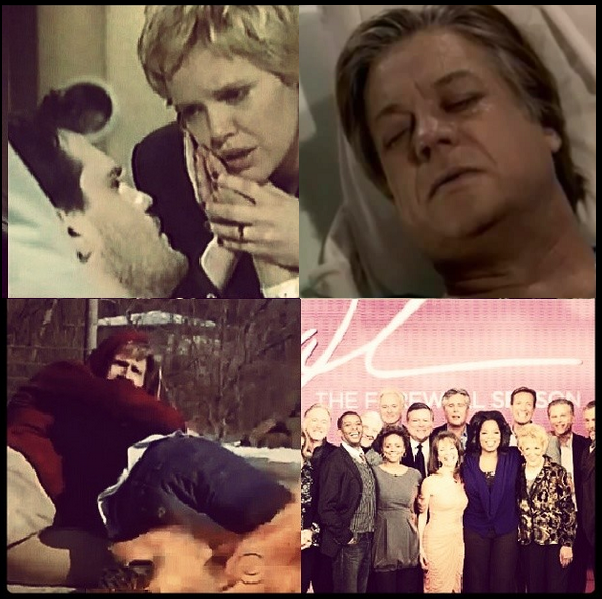 1998: On As the World Turns, Carly (Maura West) confessed her feelings for Jack, who underwent surgery at Oakdale Memorial. 2006: On General Hospital, Dr. Tony Jones (Brad Maule) died of encephalitis during the outbreak that plagued Port Charles. 2008: Roy Scheider died at age 75. He played Kenny in The Edge of Night, Jonas Falk in Love of Life and Bob Hill in The Secret Storm. 2009: On Guiding Light, Phillip (Grant Aleksander) pried open Coop's (John Driscoll) car door and dragged Coop from the flaming wreckage before the car exploded. 2011: The Oprah Winfrey Show aired a special soap opera episode featuring Susan Lucci, Debbi Morgan, Darnell Williams, Michael E. Knight, Anthony Geary, Genie Francis and Jeanne Cooper (plus the actors who played Erica Kane's husbands as a surprise). 2012: Actor Michael Lipton died at age 86. 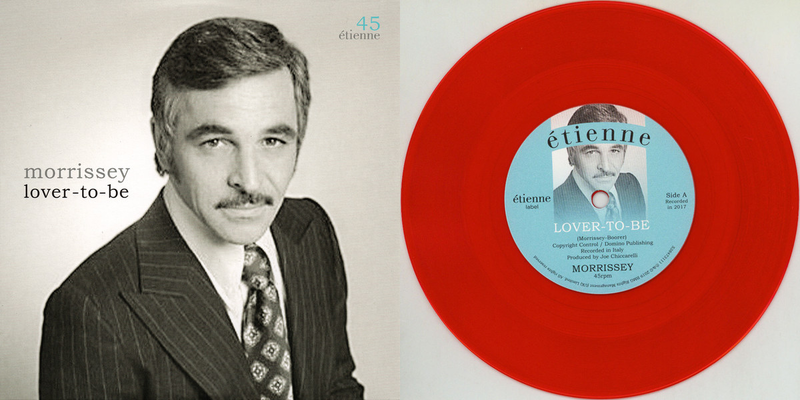 He played roles in multiple daytime soaps including Neil Wade in As the World Turns and Stan Kurtz in Somerset.